Come and Join us for a special event, hosted by The Friends of the University, marking the 100th anniversary of the start of the First World War and its impact on Reading and the University. 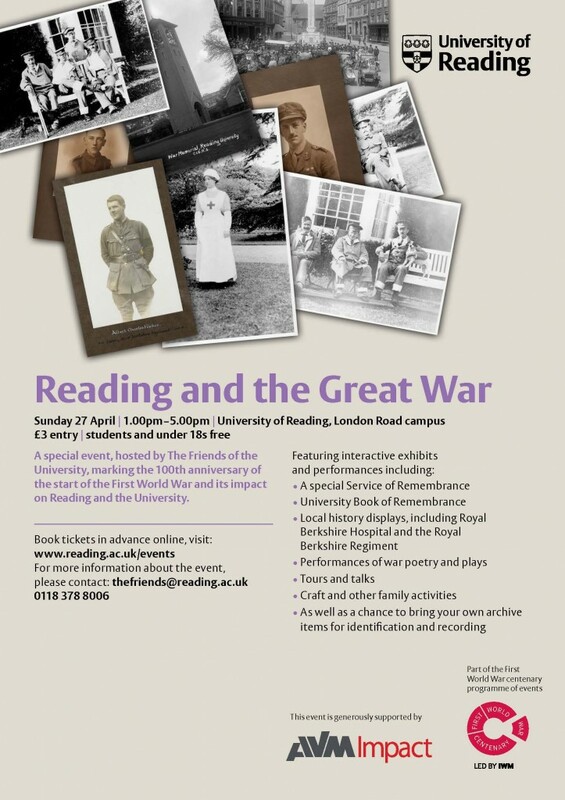 The annual poetry competition in memory of Raymond Wilson (1925-1995), former Emeritus Professor of Education at the University of Reading, will be held again this year. There will be a prize of £200 for the best poem for children. 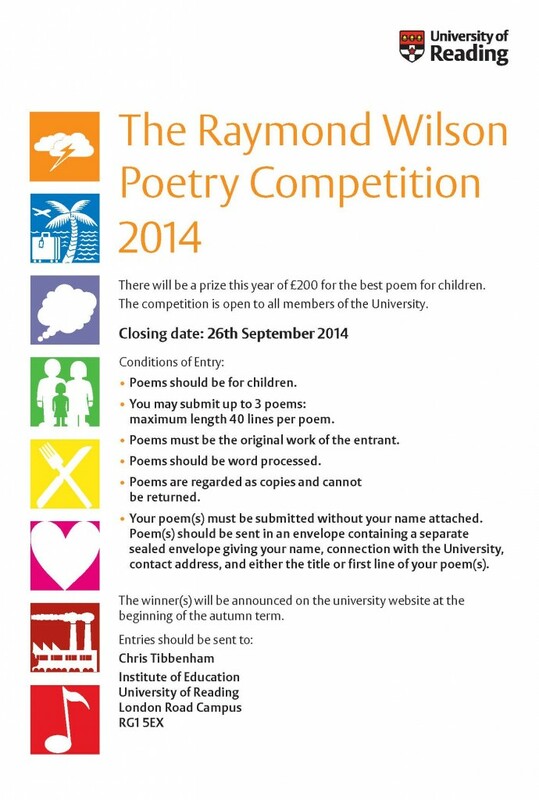 The closing date for entries is 26th September 2014 and the competition is open to all members of the university. Poems should be written for children. You may submit up to 3 poems with a maximum length of 40 lines for each poem. Poems should be word processed. Poems are regarded as copies and cannot be returned. Your name should not be included with your poem(s). The poem(s) should be submitted in an envelope accompanied by a separate sealed envelope giving your name, connection with the University, contact address and either the title or first line of your poem(s). Entries should be sent to the competition administrator: Chris Tibbenham, Institute of Education, University of Reading, London Road Campus, RG1 5EX.